It’s always cool when music is used to help out a charity. In this case, the money raised from ‘September 4-Way Split’, released by Big Footprint Records is in aid of The Boys & Girls Club Of America, a charity I’m unfamiliar with being a Brit. But still, it’s a good split for a good cause and that’s all that matters. The split features contributions from Have Mercy, Old Gray, Tiny Moving Parts and Unraveler. The first three bands here are some of my favourite in the scene at the moment, and they don’t disappoint. 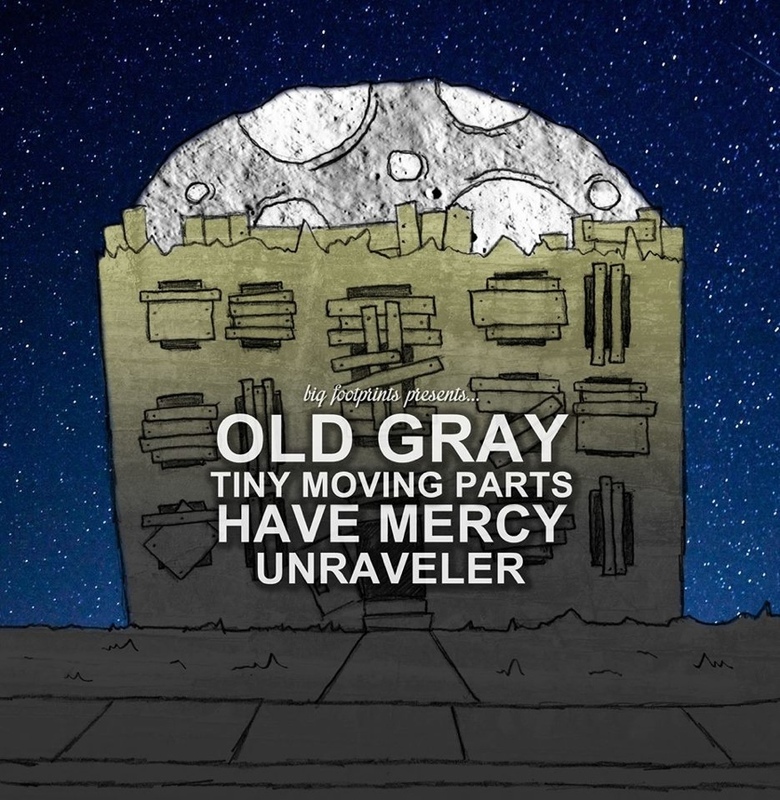 Both Old Gray and Have Mercy play acoustic versions of tracks taken from their latest albums. The former delivers a stripped back and heartfelt performance of ‘I Still Think About Who I Was Last Summer’ and it’s even better than the emotional original. The addition of violins, and a lack of screams make for a touching song – it’s tender and delicate, and a different take on the honest ferocity of the original. The acoustic rendition of ‘This Old Ark’ is also a solid re-imagining, which further displays the passionate deliver of Have Mercy frontman Brian Swindle. I prefer the original but there’s no faulting this raw reworking. Tiny Moving Parts add a live version of ‘John P.’, which is a good live take on an emotional song, and is also more uptempo than the other tracks. I had no idea who Unraveler were prior to buying this split, but I’ll be looking into their other releases, because ‘Stay Down, Skip Town’ is another excellent acoustic song, although nothing on this split compares to Old Gray’s opener. The songs on this split definitely merit the $2 purchase, and the fact that 80% of proceedings go to charity is just another incentive to pick this up, more so if you already like the artists featured here.